Raiffeisenbank Bulgaria booked 108.61 mln leva (55.52 mln euros) profit after tax for 2007, up 62.18%, year on year. The assets of the financial institution amounted to 5.996 bln leva (3.06 bln euros) as at the December 31, 2007, which represents a 53.44-percent year on year increase. 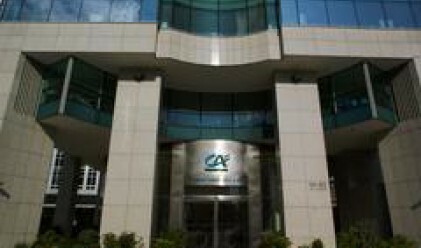 The bank occupied 10.12% share of the market in terms of assets as at the end of 2007. Raiffeisenbank's credit portfolio stood at 3.234 bln leva (1.65 bln euros) as at the end of 2007, marking an increase of 100.86%, compared to the end of 2006. The corporate deposits and deposits of individuals with the bank rose by 53.42% and amounted to 3.651 bln leva (1.96 bln euros) as at the end of 2007. In 2007 Raiffeisenbank strengthened its position as a leading lender to small and medium-sized enterprises (SME) in Bulgaria. The loans extended to SMEs stood at 1.508 bln leva (771.02 mln euros) as at the and of last year, up by 95.24% on 2006. The bank opened 12 offices across the country in 2007, which provide services to small companies and self-employed. Raiffeisenbank also launched specialized credit products and services compatible with the funding mechanisms for the implementation of projects under EU's Operational Programs. The loans extended to households stood at 581.3 mln leva (297.2 mln euros) as at December 2007, up 61.72% year on year. The number of individual clients of the bank has gone by 54% in the period. The number of credit and debit cards issued by Raiffeisenbank in 2007 rose by 88 and 48%, respectively. The number of POS and ATM terminals of the bank grew by 55% and 45%, respectively, in the end of 2007, compared to the end of 2006. Raiffeisenbank opened 40 new offices throughout the country in 2007 expanding its branch network to 150 points of sale. The bank continued to develop its network of mobile bankers who offer the services of the financial institution to individuals, small and medium companies in 13 cities across the country. The number of Raiffeisenbank's employees grew by 1,083 in 2007 to nearly 3,000.